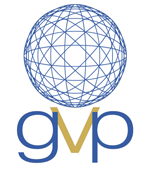 GVP is a leading provider of veterinary consumables and pet care products to the animal health industry throughout Australasia, via our wholesaler network. The GVP range includes a wide variety of quality consumables including IV administration sets & accessories, syringes, surgical swabs, wrapping and endotracheal tubes. Our pet care products include pet pillers, toothbrushes, finger brushes and Tick-Twister™.